New River Dining: Bread and Oil. 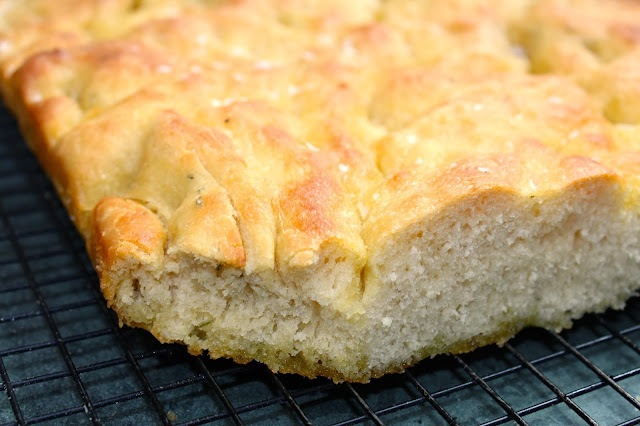 The best focaccia. Bread and Oil. The best focaccia. An unusual post this, coming from Sicily where I am staying in the Mandranova resort, close to Palma di Montechiaro in the Southwest of the island. Part hotel, part kitchen, all olive farm, the estate produces some of the world's finest olive oil and almonds. Unlike most others, they don't blend their oil, they produce single varietals: Giarraffa, Biancolilla, Nocellara etc. No, I'd not heard on these before either. We had dinner in the hotel several times and one of the treats was the home made focaccia, usually served grilled in little squares. It was better than mine, to be sure. No doubt helped by dousing it in their own oil, fresh off the tree. Sylvia the owner and chef invited me into the kitchen to watch her technique and grab her recipe. She uses two different flours: the Italian OO more commonly used for pasta, and an American bread flour, presumably for its higher gluten content. Unusally, Sylvia just bunged all the initial ingredients into a mixer and pounded it out for about ten minutes. She then added the salt and the rosemary. Adding the salt slightly later will allow the yeast more uninhibited party time, to produce those all important bubbles in the dough. The dough was removed when elastic and left to rise (about an hour in a warm Sicilian kitchen). Then she glugs a good amount of olive oil in her baking tray, enough to slick the whole surface, and she stretches out the dough to fit. Once this is done, more oil is rubbed into the top surface. The dough is left to rise again, for at least an hour. The bread is baked at 230°C for just 12 minutes. I'm rather wishing now that I had a pic of her finished product but that would have meant bringing my Cannon to the dinner table; a poor show indeed. So this is one I made back in the U.K.